As another installment in our exclusive Billy Joel/Friday Music 180 Gram Audiophile Vinyl Series, this first time impeccably mastered audiophile translucent blue vinyl Lp is now pressed at R.T.I., featuring some of his greatest songs like the brilliant opener Running On Ice, his smash hit singles This Is The Time, A Matter Of Trust and Modern Woman. For a very limited time, we are also enhancing your listening enjoyment with a first time gatefold cover artwork presentation, which features the original LP sized cover art not seen in years, as well as lyrics to all of these great Billy Joel songs, making this a keepsake for years to come. 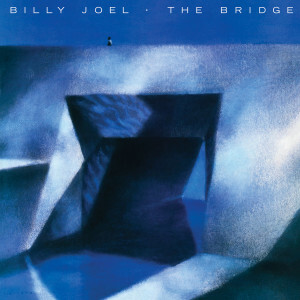 Impeccably mastered by Joe Reagoso at Friday Music Studios and Capitol Mastering, Billy Joel’s The Bridge will be one of the more anticipated classic rock releases in the audiophile vinyl domain this year. Originally released July 9, 1986.